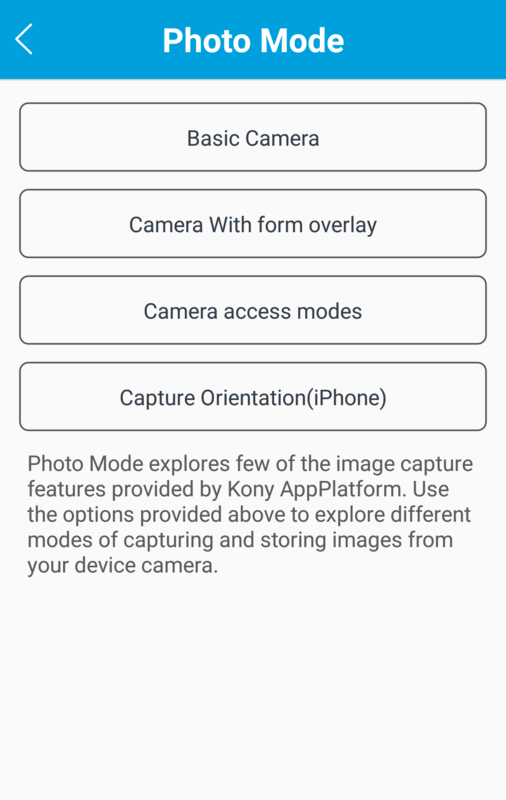 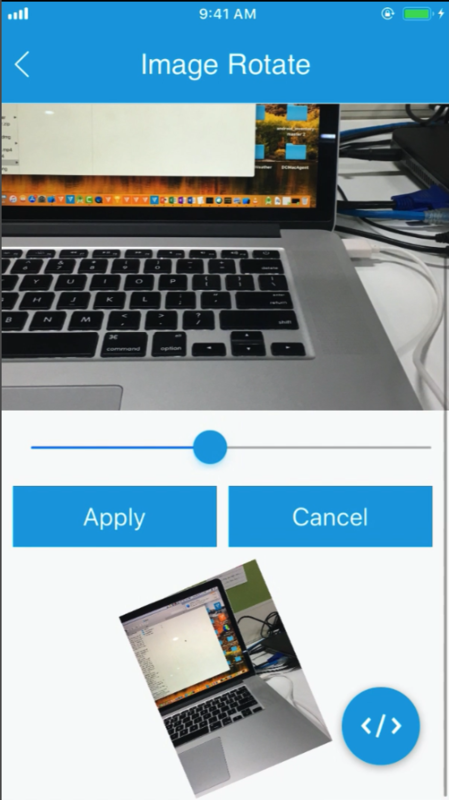 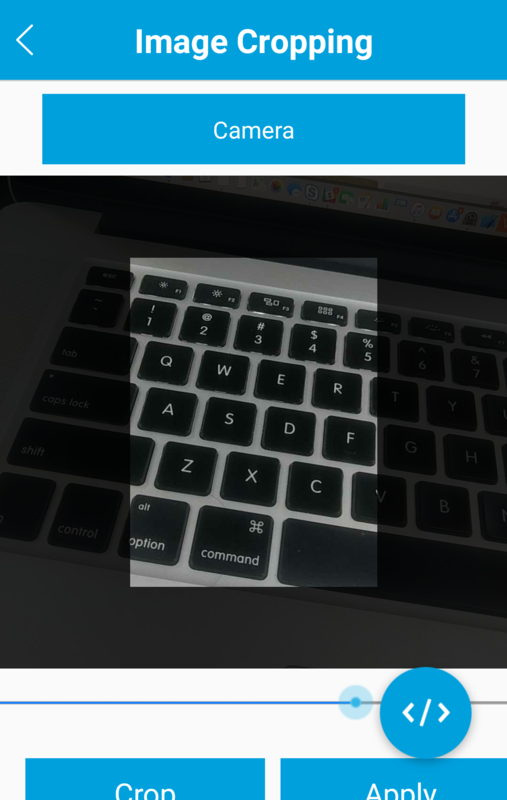 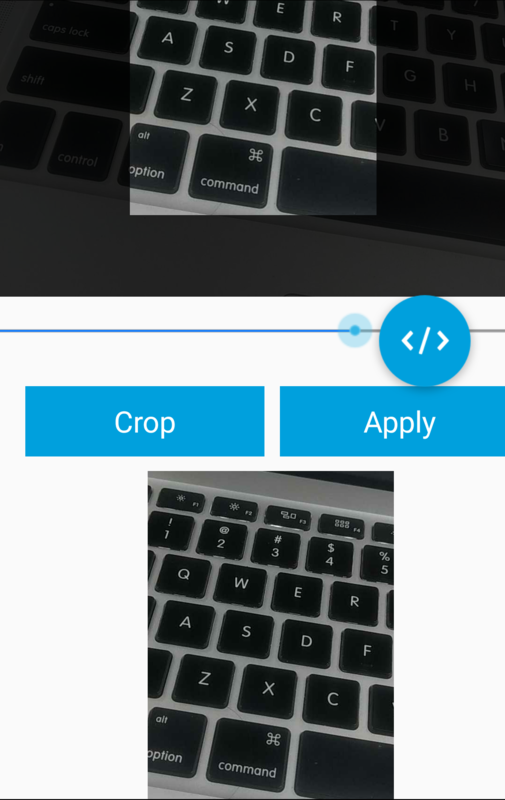 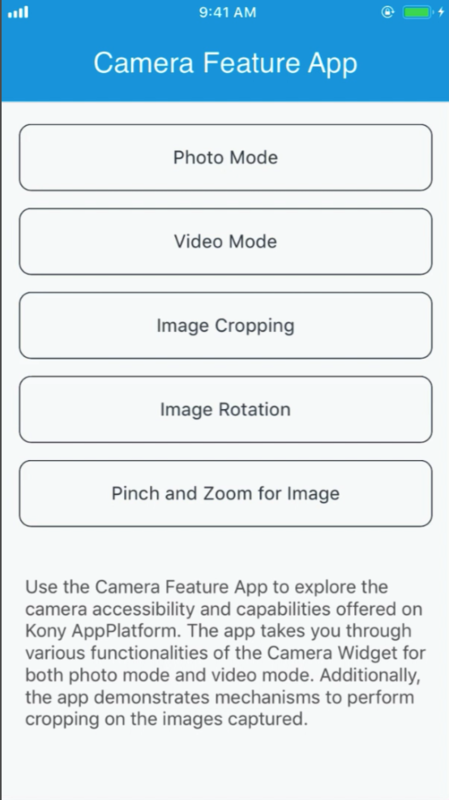 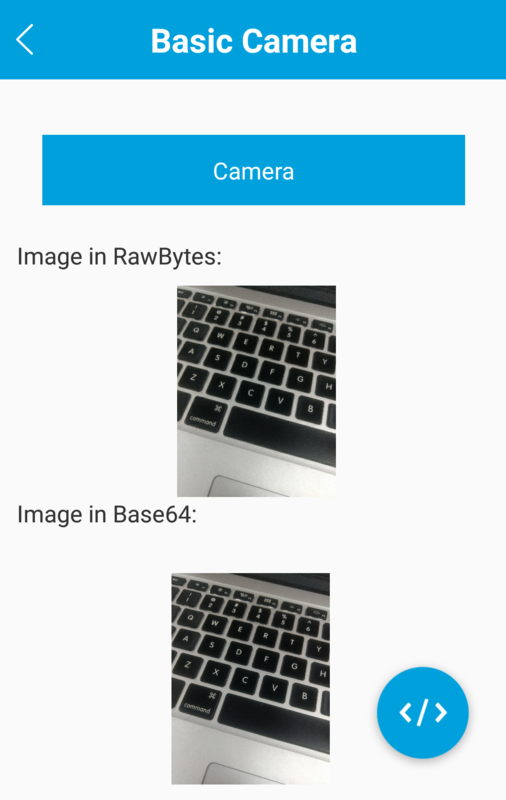 Camera Feature app highlights the usage and capabilities of the Camera widget in the Kony AppPlatform. 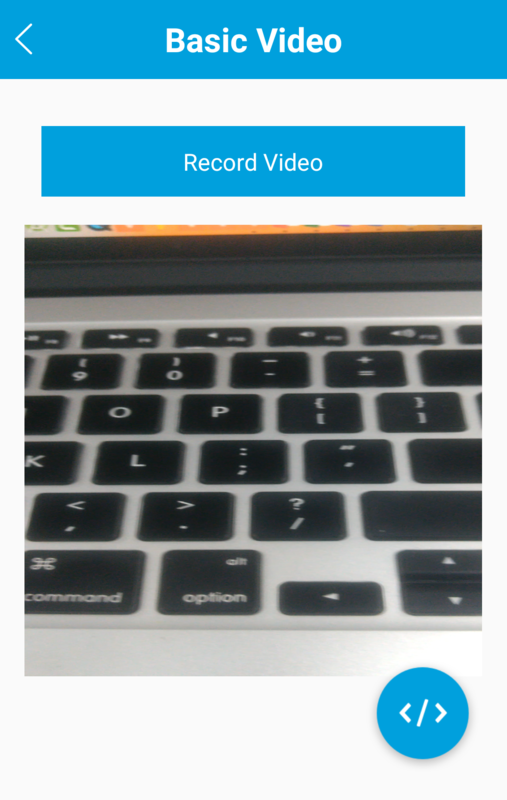 Camera widget in Kony AppPlatform invokes the camera app present in your mobile device to capture an image/video. 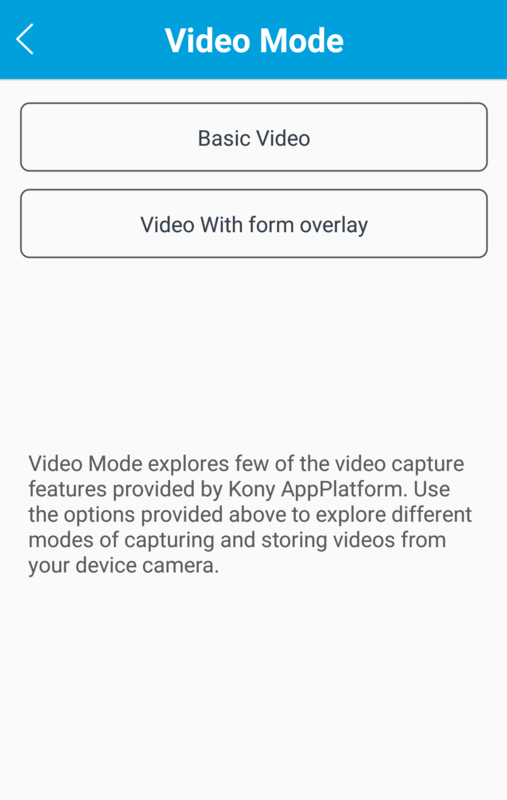 The image is stored as a PNG (Portable Network Graphics) image by default and the video is stored in MP4 format by default.